This dual helm, pilot house yacht is set up for world or coastal cruising. She is strong, comfortabe and very roomy, Launched in 1982, with an extensive refit in 1998 and the layout is very functional and the timber fitout is beautiful She sails well and has massive amounts of storage area and all of the equipment required for cruising and living in style. 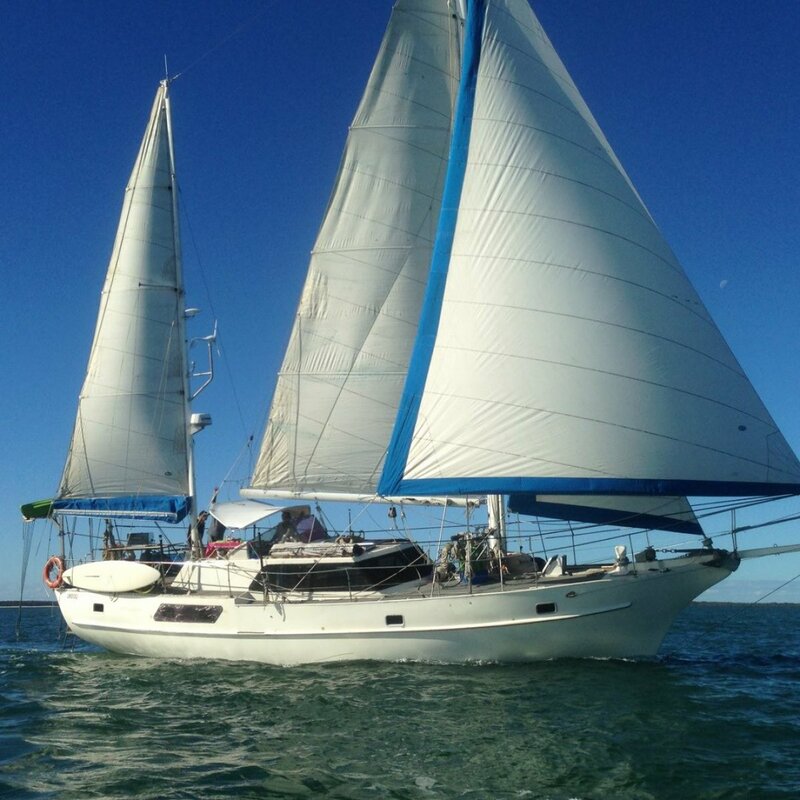 She is easy to maintaiin and has been well looked after and slipped and antifouled in 2018 Has Australian Rego and can be sailed single handed. Sleeps 8 below deck, 6 solar panels and a wind generator. 2.5 ton of water, so self sufficient for months. On anchor or cruising. 2004 Yanmar HTE Turbo Diesel with aquadrive flexible intermediate coupling, 2 inch stainless shaft, 24inch bronze propellor, engine room tidy, clean, roomy and easily accessable amidships under pilot house floor. Capable of pushing vessel to 9 knotts, cruises comfortably at 6 knotts at 2200 rpm 5 Lph. Vessel does not require shore power, self sufficient on solar and wind gen.
Main anchor, 100 lb CQR, 70 M 10 mm new chain, spare 65lb, large sand anchor. With warp. Lofrans 24v electric gypsy with manual operation if required. 4 x Acro 2 speed self tailing winches in cockpit plus main sheet winch. Halyard and reefing winches on masts and spars. All fitted with rope Jammers, Mast mounted spinnaker or headsail pole. Strong stainless steel davits. Small transom duck board with stainless ladder and steps into water and to deck. Stainless portable boarding ladder. Lots of spare lines and rope stored in deck box eskies or anchor locker. 4 x perspex / alloy opening deck hatches, 6 similar portholes. Yu wont find a a better deal in this class !! !